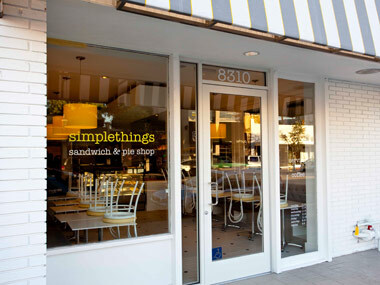 And, if you can't get enough of my stuff for this weekend, check out my Daily Candy on new Simplethings Sandwich & Pie Shop, which opened right in this hood! Let them all eat pie! Especially me. I got an email alert for What portfolio? but the page the link took me to didn’t allow conmemts; had to try Home and luckily saw an intro to the peek with a comment link under it Also, I’ve been meaning to tell you for awhile that I get a lot of email notices of new conmemts on your blog that are obviously spam; thing is though, when I come to the blog itself none of the spam is there curious, eh?